When the British Motor Corporation launched the Austin-Healey Sprite in May 1958, the aim was to produce a sports car at a price that the average man-in-the-street could afford. Geoffrey Healey, the son of Donald Healey, had been given the project responsibility with an objective of designing a sports car that was simple and inexpensive to manufacture, but still had enough character and prowess to excite any enthusiast. The end result was a charismatic sports car, with a smiling front end, that handled like a top of the range sports car. 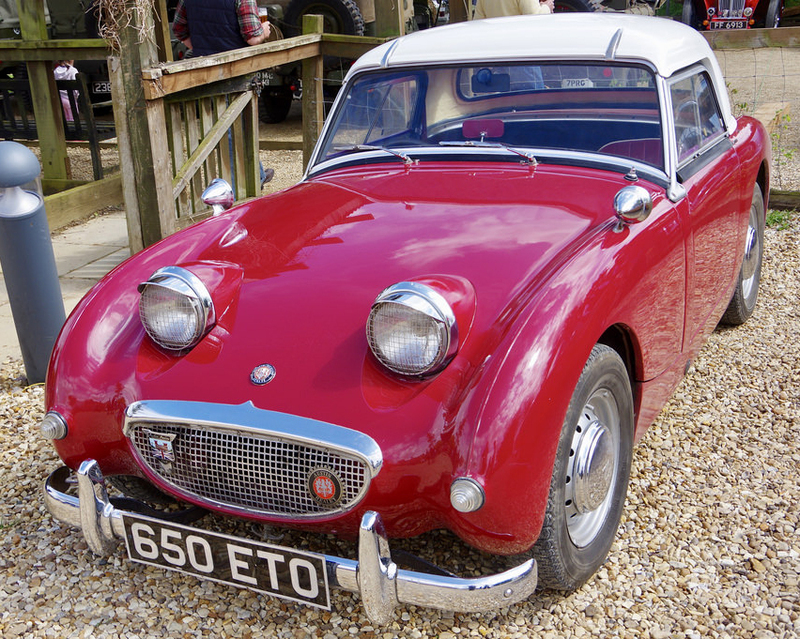 The Austin Healey 'Frogeye' Sprite was born. Although being designed by the Donald Healey Motor Company, the Sprite was manufactured at the MG Car Company in Abingdon. With the aim of low cost manufacture, several compromises were needed on the design. The 'Frogeye' or 'Bugeye' appearance was not on the original plans as the lights were supposed to turn back and look skyward when not in use. However, it was deemed that the cost was too expensive and, much to the delight of thousands of Sprite enthusiasts, the lights became permanently fixed on the bonnet of the car. 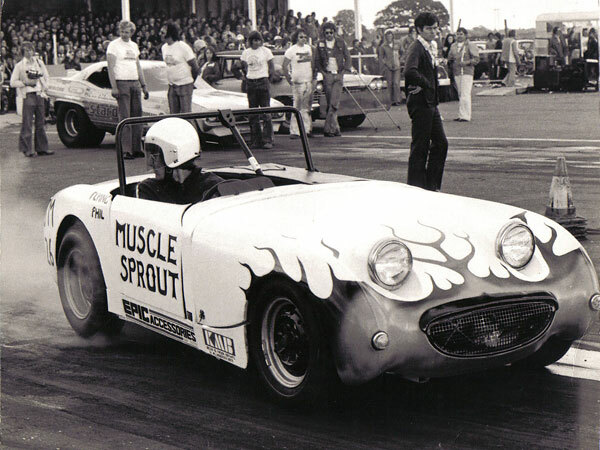 The excellent handling and speed of the Austin-Healey Sprite made it ideal for racing. The first major success came at the 1958 Alpine Rally, when John Sprinzel and Willy Cave won their car class. Further success would come when the Sprite was launched in the USA, with victory in the 12-hour race at Sebring International Raceway in Florida. Due to the Sprite's affordability and excellent racing stature, many racing teams developed their own variants for races around the world. 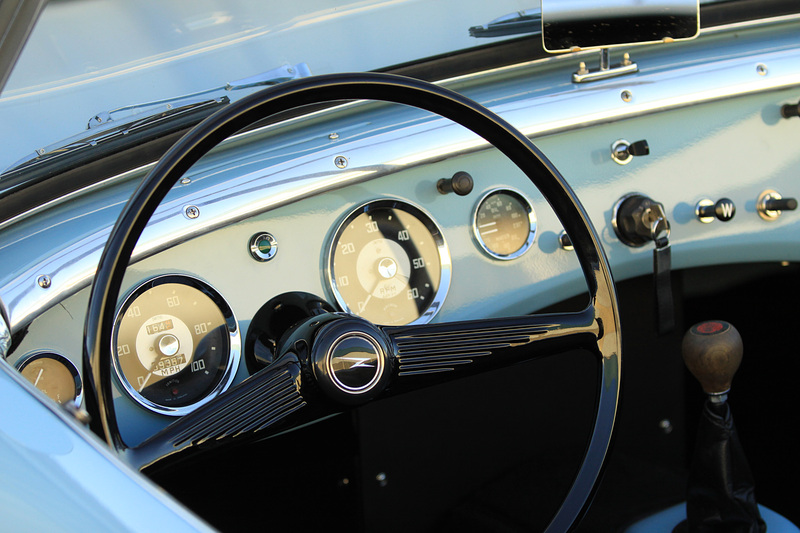 As with the Austin Healey 3000, SMITHS Instruments were engaged to design and manufacture the dashboard instrumentation. There were four gauges which included the Speedometer and Tachometer (both with silver centres), a Fuel Gauge and a Dual Gauge for Oil and Water. Austin Healey Sprite enthusiasts still use SMITHS gauges today, updated but still retaining the style and panache that made the little sports car a global favourite. The Dual and Fuel Gauges are presently available and dial forms for the Speedometer and Tachometer will be considered for resurrecting if there is enough interest from enthusiasts and renovators.